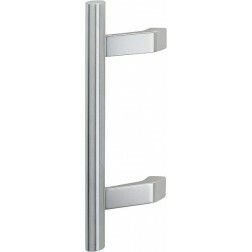 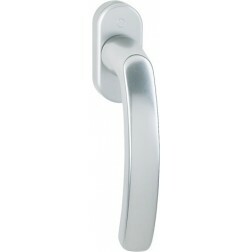 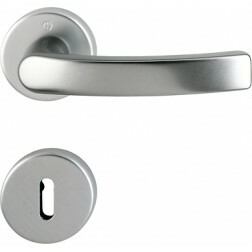 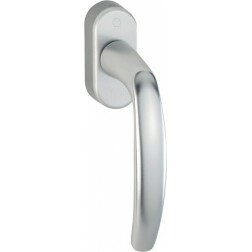 Tilt and turn window handle Hoppe aluminium Luxembourg series on oval rose. 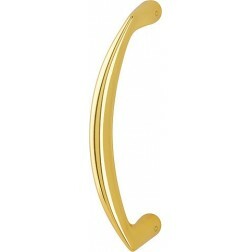 Luxembourg window handle made of anodized aluminum. 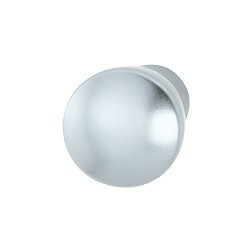 Available in silver, titanium and satin gols. 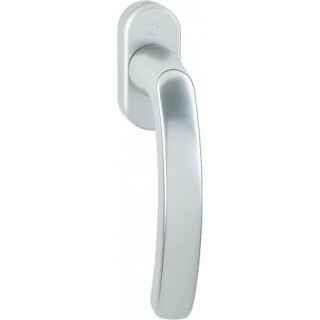 The rosette measuring 133 mm in lenght and the handgrip is characterized by a grooved curvature towards the inside. 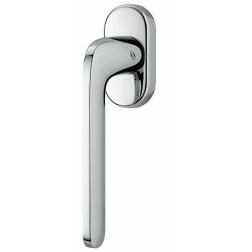 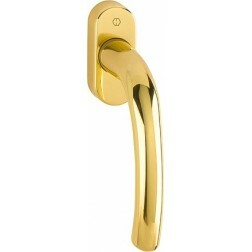 Finally with Secustik technology this window handle protects your windows from external break-ins.